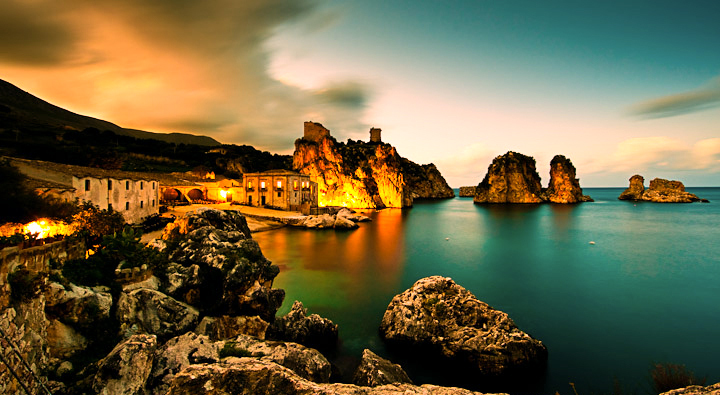 Palermo is most definitely a city with plenty of treasures hidden away to the eye and yet to be discovered. I believe that I may have stumbled across one such treasure! Unlike Florence or Rome, many of the city’s treasures are hidden away, rather than polished for display for the seemingly endless streams of foreign tourists that abound. This giant treasure trove of palaces, castles and churches have a unique architectural fusion born from the Byzantine, Arab, and Norman Renaissance; it is I think best described as a city of contrasts. Alive is a word that most definitely springs to mind when describing this city, with its thriving open air markets, restaurants and cafes. A city that gives the impression of one that never sleeps, but always makes time for its visitors. Palermitans themselves have inherited their warm-heartedness and social rituals from their long established multicultural past. Life here is a very full on public and noisy affair, always full of charm and splendour, and now rich in its supply of E-juices that is something else for them to be rightly proud of. With over 26 varieties in three Nicotine strengths zero, Nine & Fourteen currently on offer to the consumer, supplied in 10ml & 20ml there will be something I’m sure to suit most people’s personal Vaping tastes from the LOP range of E-juices. These include traditional fruits, Tobacco flavours, and something a little more radical! With customer satisfaction clearly in mind. I believe that this will give both the retail supplier and consumer a fair and accurate assessment of the flavour and vapour production, as well as the throat hit this brand produces, which is important when considering stocking this range or purchasing them for your personal vaping pleasure. I also steeped them for one week before reviewing them, allowing the full flavour to come to the fore. The flavour was clearly distinguishable in all of the juices supplied for this review. I found them to be delicate and not in any way overpowering, leaving a subtle reminder of the flavour just vaped. The fruit flavours were present in both taste and aroma. A special mention in this range I felt was the Jamaican blend Marley, Fire Red, Radical, and Sambuca. These provided a very satisfying and original choice of flavours, and I will be hinting strongly at LOP for another sample of each! The Pineapple could be more apparent I felt, not in any way unpleasant, just lacking a little in punch overall compared to the rest of the juices I have tried. 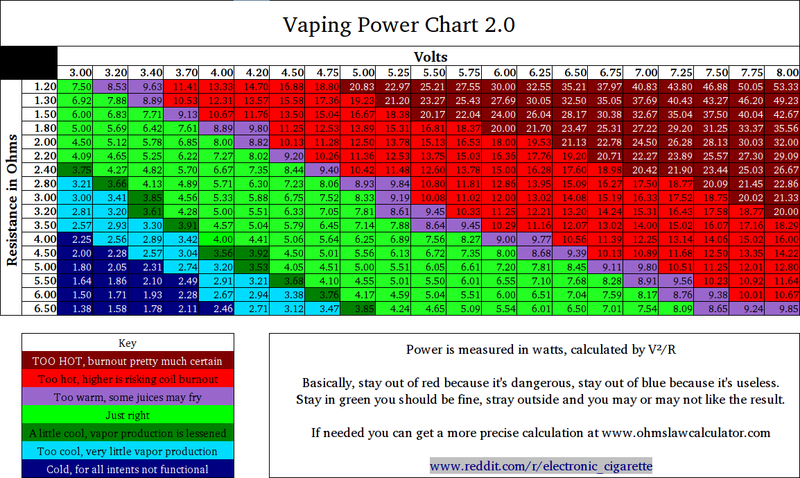 Vapour production was extremely good, producing an airier vapour more akin to a cigarette, but in plentiful supply. Apparently, LOP has placed the smoker ahead of the cloud enthusiast in this range, which is worth bearing in mind when making your selection. 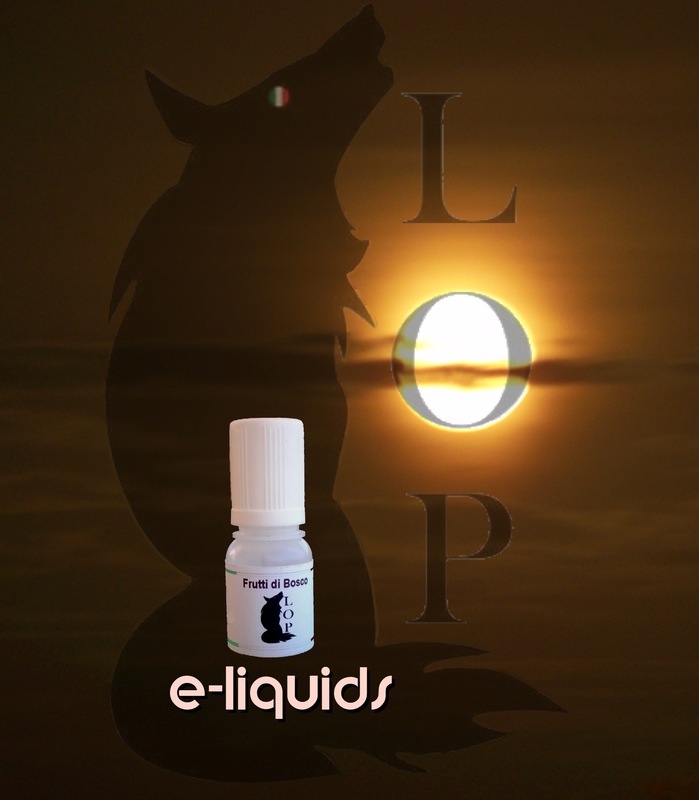 Italy is becoming one of the fastest growing European countries to supply high-quality E-liquids to the E-Cigarette market of today, and LOP is clearly playing their part in achieving that goal. The plastic bottle containers came with child protective caps that are a really good idea, and should be used more often in my opinion when containing a harmful substance like nicotine. The dispenser was not too wide allowing for easy filling of tanks and also worked well when dripping them.The labelling on the box was clearly marked with all five languages represented. The full range of juices came with a small booklet, depicting the flavours in five different languages that were a nice inclusion as one of these was in English! DHL came up trumps again, on time and no damage to any of the product. I personally always use them, as to date I have never been let down by their service, so I hope this might benefit some of you when shipping your merchandise overseas. Overall another excellent choice for the retailer and consumer alike, being both Pleasant to Vape with plenty of choice in the range, with more flavours being added to this line soon, so I have been informed. So be sure to ask for some samples for your customers and make sure you try them out!